RACK-UPs are the original 1/3 rack width 1RU rack-mountable modules for the A/V, recording and broadcast industries. Module functions include mixing, switching, pre-amplification, power amplification, distribution, gain control, equalization and more. Some RACK-UP modules are constructed in solid encapsulated durable industrial black plastic enclosures; MAX RACK-UPs are assembled using heavy duty extruded aluminum and steel panels. The rear panels feature clear bold white lettering for the terminal blocks and connectors. Reverse-printed front-panel polycarbonate laminates provide an attractive, durable finished appearance for rack-mounted or free-standing use. 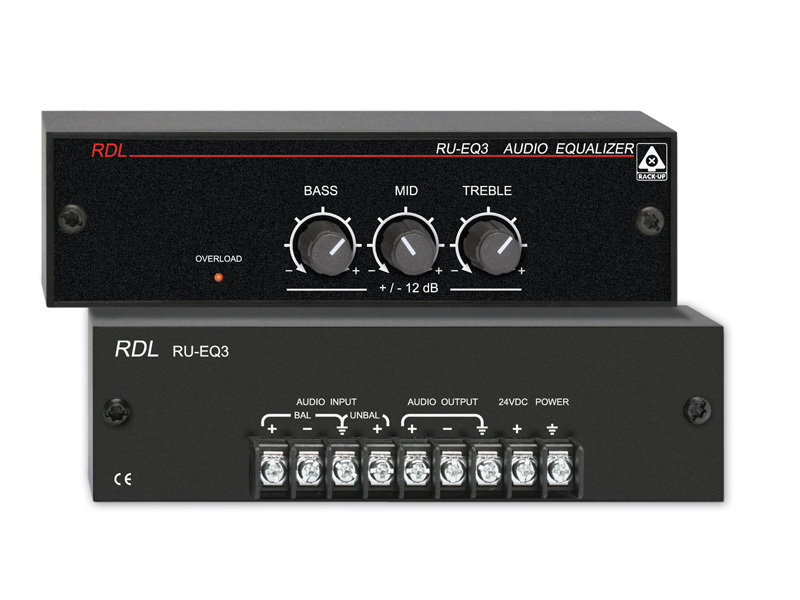 Since RDL first originated 1/3 rack width modules, RACK-UPs have led the industry in economical, high-performance and cost-effective long life solutions in system designs. 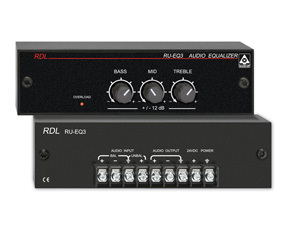 Multiple RACK-UP modules may be interconnected, or may be connected with other RDL modules to form all or part of an A/V system. Certain RACK-UP modules are often used free standing; all RACK-UPs may be rack mounted. A complete range of mounting options is available for systems comprised of multiple modules. RACK-UP modules provide input, output and control connections through terminal blocks and connector (or both) according to common usage in professional installations. Front panels are equipped with connectors, user controls and LED metering, as appropriate. Functions and features provided by RACK-UPs, since their introduction, are still available today. This continuity in product offering and support makes RACK-UP modules a preferred long-term resource for system design solutions. RACK-UP SERIES modules are designed and manufactured in the U.S.A.